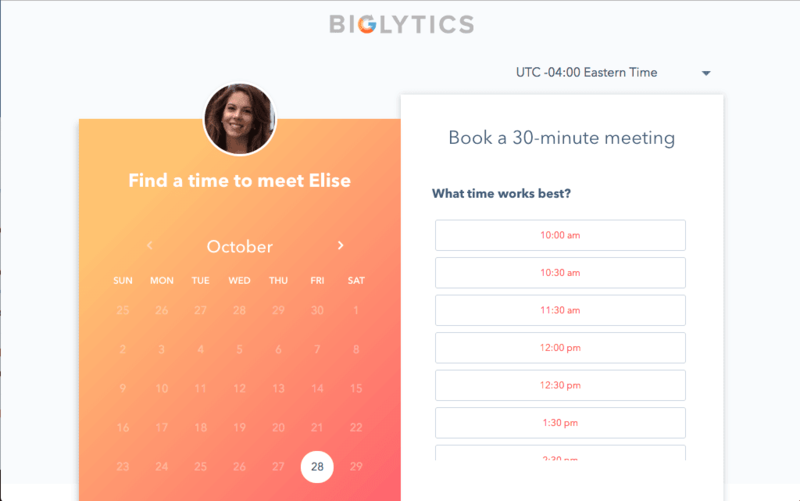 Scheduling meetings can be quite time consuming and disrupt productivity. These meeting scheduler apps can help you to conveniently schedule meetings and improve the overall productivity in your workplace. 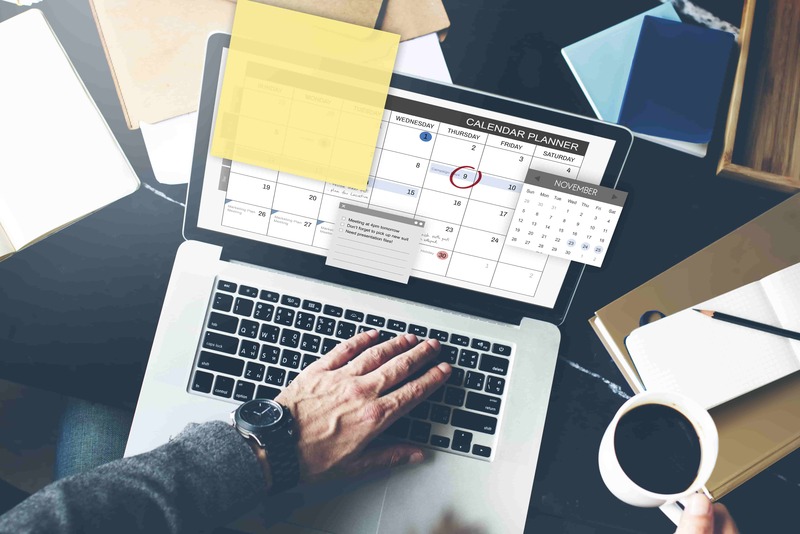 Scheduling meetings is one of the most common (and often annoying) tasks in the modern workplace. When you’re trying to bring a group of people together, there are so many factors to take into account. Perhaps you have to work around other's schedules or a teammate is remote; whatever the hurdle may be, there is a variety of apps and tools available today to make the task a lot easier. In today’s digital age, it is more common for project teams to work across multiple offices, states, or even multiple countries than in neighboring cubicles. 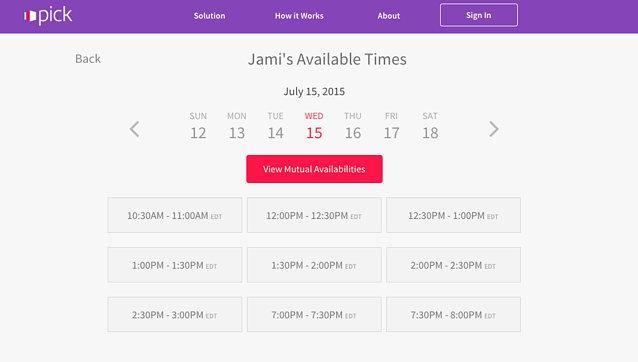 In turn, scheduling meetings can be quite time consuming and also disrupt productivity. When you spend so much time figuring out when and where to meet, that you forget what you are actually supposed to meet about, that's a problem! Below are six tools that can help you to conveniently schedule meetings and improve the overall productivity in your workplace. Doodle is a web-based scheduling tool that lets users check boxes to indicate what times on a day or several days they're available to meet. 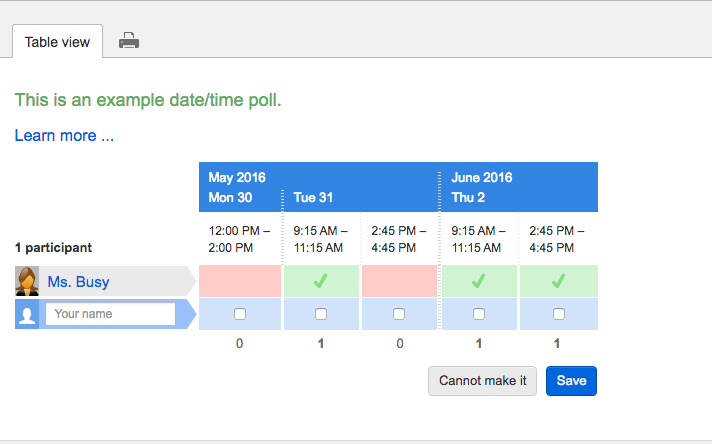 With Doodle, you can pick date and time options then poll your team to see what works best for them. You can also create a public Doodle URL, where individuals can see your schedule and request a meeting with you based on when you are available. A basic account is free, but there's also Premium Doodle, which is ad free and geared toward professionals and businesses. Extra features include automatic reminders, calendar integration, and end-to-end encryption. There's also a free Doodle app available for iOS and Android. If you receive a lot of meeting requests from people outside of your organization, give Calendly a try. With its user-friendly interface, Calendly makes it easy for you to designate meeting time preferences and share your personal page with others to pick an available time through a calendar invite. What makes this tool special, however, is that it can integrate easily into softwares your team is already using like Infusionsoft, MailChimp, Gmail, Salesforce, Zapier, or even Slack. You can sign up for Calendly free with a Google account, but there's also a premium version that comes with better support, personalized notifications, different event types and lengths, and automated reminders. Explaining the ease of using Calendly, Claire Suellentrop (Marketing Director) said, "we lower the barrier to entry of appointments being booked, because it only takes about three clicks on an invitee's part, and requires no signup or registration from them beforehand — it's inviting, not overwhelming". Working with Gmail, iCloud, and Office 365, Genee is a mobile meeting scheduler's dream. All you need to do is CC the Genee email address on your email, indicate a requested time frame and other event details (such as time or place) then Genee emails all the attendees and suggests time options based on your availability and requested preferences. Once a time is agreed upon Genee adds the event to your calendar and sends a message with the confirmed details. You can also schedule messages with Genee through text message, Twitter, or its iPhone app. It's like magic. 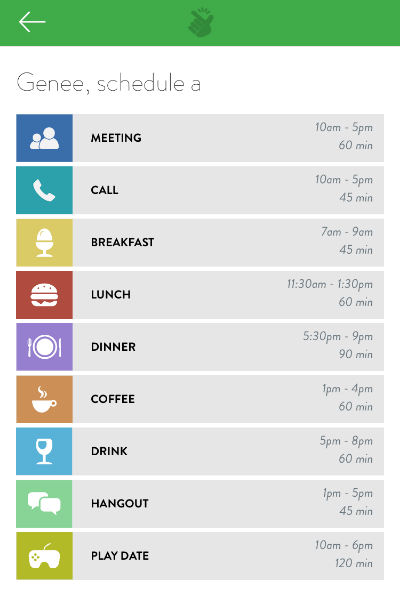 Now, this app eliminates all of the back and forth that usually comes with scheduling a meeting. Pick A Meeting is convenient because it allows you to compare your availability with other participants, regardless of email domain, and it makes it easy to schedule via your mobile device. Once a time is picked, Pick also schedules the meeting and notifies attendees by email for you. 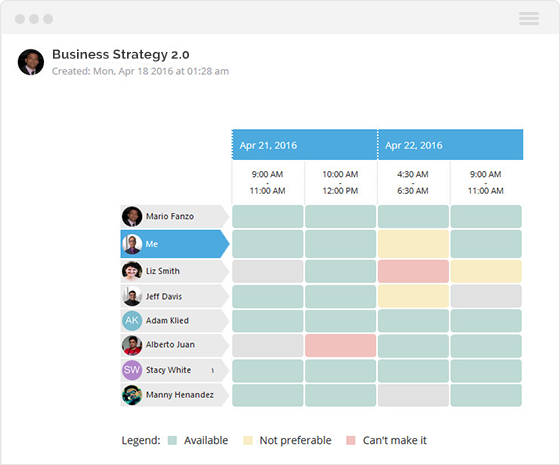 HubSpot Meetings is a free tool that helps you book meetings without the back-and-forth emails. If you're in sales, customer success, entrepreneurship, basically any profession that requires many meetings, it can help save you tons of time per week to spend more time on meaningful work. It integrates with your Google Calendar, Office 365, and HubSpot CRM, so people can always see your most up-to-date availability. 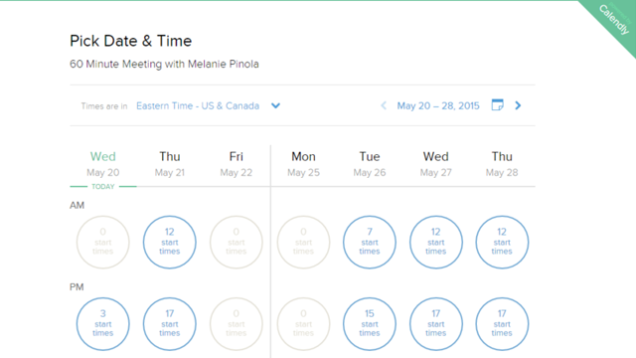 You can also send group meeting links to allow people to book time with more than one person in your organization. This way, prospects can book a meeting with the sales rep whose availability works best for their schedule. If you upgrade your account, you can also embed meeting links on your website. If you're also using HubSpot CRM or other HubSpot Sales tools, Meetings is extra powerful because of the native integrations and combined capabilities (like automatically adding contacts to your CRM if you book meetings with them). Grapple Meetings is one of the newest meeting schedulers on the scene. Brought to you by IMPACT client, Grapple, this app allows you to select different meeting times and create a poll page where people can indicate which option works best for them. Viewers can see what selection other members made, which makes it easier to reschedule around each other, so more people can attend. You can sign up for free here to get access to both Grapple's collaborative software and the in-built meeting scheduler. That’s a good deal if you ask me! Planning a meeting can be a hassle, but it doesn't have to be. Between finding a meeting time convenient for everyone, sending out invites, and follow-up notes, everyone could use some tools to make it easier. Try these out and let me know how they work out for you or if there are any awesome apps that have helped you, share them with me in IMPACT Elite!